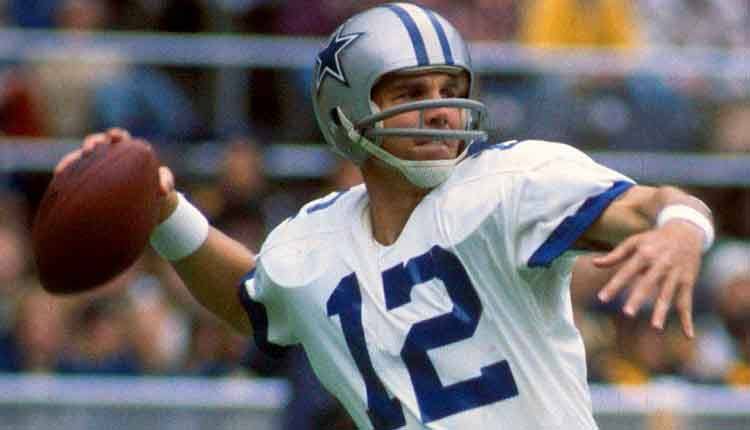 A real-life football version of “Captain America” himself, Roger Staubach was a Vietnam War veteran, Heisman Trophy-winning quarterback the at U.S. Naval Academy, and the first quarterback in INFL history to lead his team to the Super Bowl five times and the first of four players to ever win the Heisman Trophy and Super Bowl MVP (the latter of which he won after leading the Dallas Cowboys to a win in Super Bowl VI). He might not have the Super Bowl wins of Troy Aikman or the stat totals of Tony Romo, but Staubach was the one who truly made playing quarterback for the Cowboys one of the most iconic positions in American sports. In the era between Troy Aikman and Tony Romo, the Dallas Cowboys went through a comedy of errors at the quarterback position (and at head coach, too). Chad Hutchinson was one of those spectacular errors, as we witnessed during the 2002 season. Despite the fact that he set the NFL record for most passes thrown by a rookie without an interception (95), Hutchinson still finished with a 2-7 record in the nine games he started, throwing only seven touchdowns and eight interceptions. One year later, when the Dallas Cowboys hired an actual grown up to coach the team (Bill Parcells), Hutchison was benched in favor of Quincy Carter. Two years after that, Hutchinson was out of the NFL.